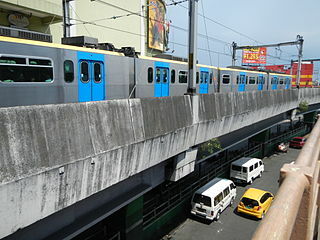 LRT-1 railway is an train route that was first made by the Philippine government. LRT-1 pathway connecting several cities in Metro Manila namely Quezon, Caloocan, Manila, and Pasay. To date this post was published, there are nineteen stations that have been connected. LRT-2 connects these four important cities in Metro Manila including Marikina, San Juan, Manila, and Quezon. The following is a list of some of the LRT-1 station and LRT-2 and points of interest are close to the station. The station is close to the Ninoy Aquino International Airport, Our Mother of Perpetual Help, South Metroland Terminal, and JB Line Bicol Express. Before you take a train to the city center, it would not hurt to visit some of the tourist attractions and shopping are close to this station as Terminal 2 Shopping Center and Baclaran Church Shrine. Some important points are close to EDSA station pasay include Macapagal Avenue, SM Saver’s, Pasay Rotonda, SM Mall of Asia, Saulog and Aladdin Bus Terminal, EDSA MRT, Philtranco Terminal, Heritage Hotel, and MetroPoint Mall. The station is located in Pasay city center. Some of the interesting places you can visit them Aglipayan Church, Pasay City Hall, Rizal Funeral, St. Mary’s Academy, Cuneta Astrodome, Pure Gold, Libertad Market, Holy Trinity Church, Spring Cinema, St. Calara Parish, and the Philippine School for the Deaf. In this area there are many educational places like Academy Pasay City, Philippine Law School, Manila Sanitarium, and Adventist Medical Center. There are interesting places that you should visit is EGI Mall and Cartimar. This area is very popular in the Philippines because many interesting sights and parks that are frequented by local residents like the Manila Zoo, Adriatico Street, Malate, Paco Park, Remedios Circle and. University of the Philippines and the Philippine General Hospital is located in this area. several other points of interest here is in Nakpil Street and Ermita. Interesting places you can visit in this area include Manila Ocean Park, Ermita, Rizal Park, Quirino Grandstand, Luneta, YWCA of Manila, and Times Square Shopping Mall. Attractions that you can visit them here Pasig River, Arroceros, Intramuros, Manila City Hall, Manila Metropolitan Theater, the National Museum of the Philippines, Mehan Garden, and SM City Manila. This location is access to the natural and cultural attractions are well-known in Metro Manila including dalah Quiapo Chruch, St.. Cruz, Ongpin, Escolta, the Black Nazarene, the Binondo Church, Manila Mini-Forest Park, Liwasang Bonifacio, and China Town. The sixth station is very close to several exciting tourist attractions including shopping San Lazaro Hippodrome, Sampaloc, Tondo, St. Pancratius Parish, SM City San Lazaro, and Isetan Shopping Center. Important place here including the Fabella Memorial Hospital, Manila Cinese Cemetery, San Lazaro Hospital, Jose Reyes Memorial and Medical Center. The station is already included in Caloocan City area. Attractions that you can visit here include Jade Towers, Yorklin Chinese School, and Taoist Temple. Some important points here include Rizal Avenue, Grace Park, Corner EDSA, Monumento Circle. In this area also stands buildings Manila Central University, Ever Gotesco, and Uniwide. Not many places of interest which can be found here, Andres Bonifacio Monument and Blintawak Parks and Market could become the target of your visit when stopping at this station. There are cheap shopping places such as the Metro East Mall, SM Marikina, and Antipolo. In this area stood St. Cathoilc Joseph Parish School, Hi-top Spuermart, and World Citi Medical Center. You can also walk to the Loyola Heights. Important places around the station when you stop here including New Farmers Plaza, Gateway Mall, Aurora Boulevard, Ali Mall, SM Cubao, Araneta Coliseum, New Manila, and Ateneo de Manila University. In this area many built catholic and missionary training center Philippines as Our Lady of Mount Carmel Parish, St.. Lukes Medical Center, St. Paul University, St. Joseph College, Trinity University of Asia, Carmelite Missionary Sisters, and Trinity College. From this station, you can continue the journey by bus to various places in the Philippines because there are Regina Shipping Lines Bus Transport. In this area there are also many Catholic schools like Xavier School, Tabernacle of Faith Academy, and Immaculate Concepcion Academy. Some important points are close to this station include both the SM Centerpoint, Polytechnic Universitiy of the Philippines, Pure Gold, Santa Mesa, SM Mezza Residences, Sacred Heart of Jesus, G. Araneta Avenue, SM Savemore, Central Colleges of the Philippines, De Ocampo Memorial College, Arlington Memorial Chapels, and UERM Memorial Medical Center. 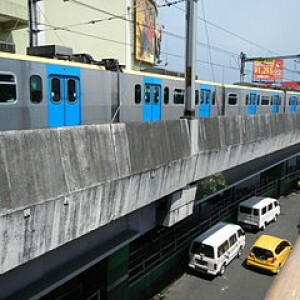 The station is located in the middle of Manila downtown. Some of the many educational center established in this area include the National Teachers Colllege, San Sebastian College, Centro Escolar University, San Beda College, Technological Institute of the Philippines, La Consolacion College, Arellano University, and National University. In addition to many educational centers, in this area points of interest such artifacts also Sampaloc Public Market. Recto is the last station of LRT-2 pathway. This location is located in the center of the city of Manila and many interesting places you can visit such as Isetan Shopping Center, Central Market, Quiapo, and Manila Grand Opera.